National Airlines N176CA sits on the tarmac at St. John's International Airport after an application for seizure was filed with the Supreme Court and future flights were cancelled. The airport is accusing National of not paying fees. 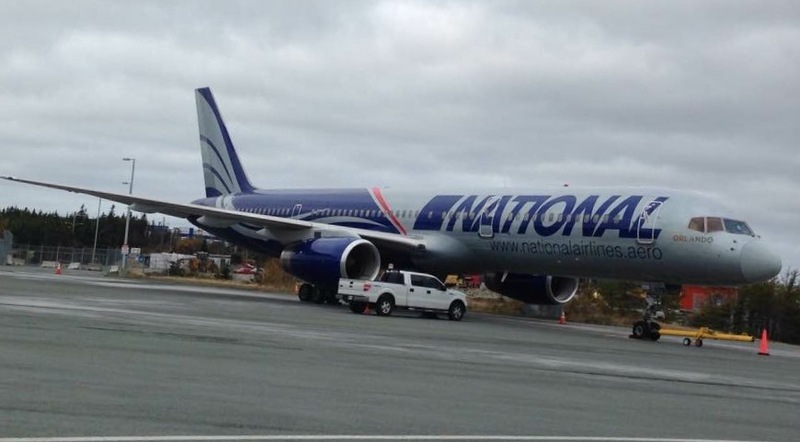 A National Airlines plane landed in St. John's at 6:28 p.m. on Friday, inbound from Orlando. The scheduled return flight to Florida was cancelled, with passengers unable to rebook on the discount airline. 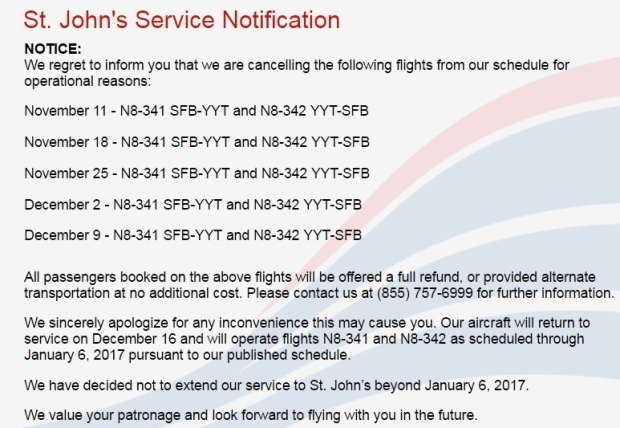 By Sunday afternoon, a notice on the airline's website stated: "We regret to inform you that we are cancelling several flights in November and December and have decided to not extend our service to St. John's beyond January 6, 2017." The St. John's Airport Authority has filed an application to the Supreme Court of Newfoundland and Labrador under Section 9(2) of the Airport Transfer Act. The section pertains to unpaid fees from an airline to an airport. It allows airport officials to file an application to seize an aircraft if they have reason to believe the plane or the person liable for the unpaid fees will leave Canada. It also allows a judge to make an ex parte ruling — a decision without a defence being present. The application is scheduled to be heard Monday at 10 a.m. Passengers were upset with the cancellation and were told by the airline it was due to a "paperwork issue," a source told CBC. The source said airport authorities seized the plane due to unpaid fees. 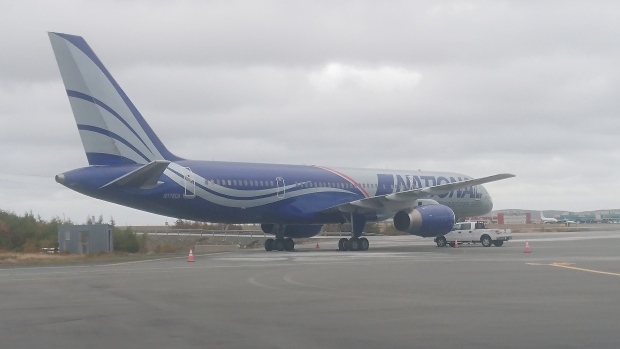 Calls to St. John's International Airport management National Airlines and Provincial Airlines were not returned. National holds a partnership with Provincial Airlines, operating weekly flights to Orlando since January. The airline flies out of St. John's, Windsor, Ont., Orlando and San Juan, Puerto Rico. 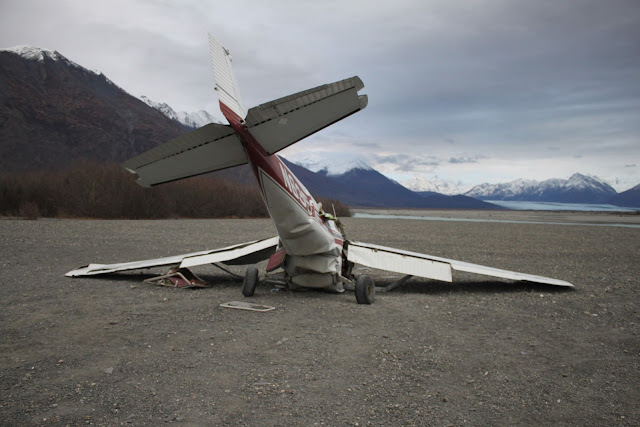 On October 29, 2016, about 1445 Alaska daylight time, a Cessna 172 airplane, N6353E, sustained substantial damage after impacting terrain following a loss of control after takeoff from a remote, gravel-covered site adjacent to the Knik River, about 12 miles southeast of Palmer, Alaska. The sole occupant, the student pilot, sustained fatal injuries. The airplane was registered to the student pilot, and was operated as a visual flight rules (VFR) personal flight under the provisions of Title 14 Code of Federal Regulations Part 91 when the accident occurred. Visual meteorological conditions prevailed at the time of the accident, and no flight plan was filed. The flight originated from the Wasilla Airport, at an unknown time. 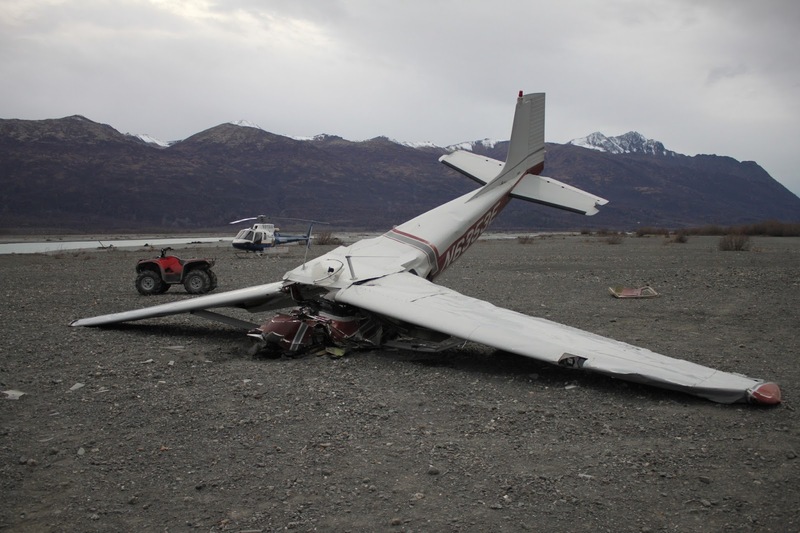 According to various witnesses near the accident site, they observed the accident airplane flying in the Knik River valley. The witnesses reported that the airplane did a touch-and-go landing on the gravel bar, and just after a southeasterly takeoff, as it climbed to 100 feet above ground level (agl), it turned to the left. During the left turn, the wings of the airplane rolled perpendicular to the ground, and it descended, nose low, before colliding with the gravel-covered site. The witnesses reported gusty southeasterly wind conditions at the time of the accident, estimated between 20 and 25 knots. A National Transportation Safety Board (NTSB) air safety investigator and the Alaska State Troopers traveled to the accident scene on October 29 via helicopter. The NTSB investigator-in-charge and a Federal Aviation Administration aviation safety inspector traveled to the accident scene on October 30 via helicopter. The wreckage was located in an area of flat, gravel-covered terrain north of the Knik River, with heavy vegetation to the north of the wreckage site. The wreckage was recovered and transported to a secure facility for future examination of the airframe and engine. The closest official weather observation station is located at the Palmer Airport, about 13 miles to the northwest of the accident site. At 1453, an Aviation Routine Weather Report (METAR) was reporting, and stated in part: Wind 340 degrees (true) at 9 knots; visibility 10 statute miles; clouds and sky condition, few clouds at 6,000 feet, overcast at 8,000 feet; temperature 39 degrees F; dew point 25 degrees F; altimeter 29.72 inHg. A Wasilla man is dead after the plane he was flying crashed on a dry river bed near Palmer on Saturday. The crash was reported to Alaska State Troopers at 2:48 p.m. where the Friday Creek meets the Knik River, according to an online dispatch. Ray Justen, 25, was the pilot and only person on board, according to troopers. National Transportation Safety Board spokesman Clint Johnson said the pilot’s brother was at the scene with a few other people and described the crash. When a LifeMed helicopter from Wolf Lake responded around 3:17 p.m., Justen was dead, according to troopers. Johnson said Justen’s brother and those with him attempted life-saving measures, which were unsuccessful. Johnson flew out to the scene with troopers to examine the crash site. The dispatch noted the aircraft, a Cessna 172 Skyhawk, had sustained significant damage during the crash. Justen’s body was recovered from the wreckage and taken to the State Medical Examiner’s Office in Anchorage. His next of kin have been notified of his death. The NTSB is continuing to investigate the crash. Johnson said a helicopter would remove the wreckage from the scene and take it back to a hangar for a more in-depth look at the plane. A 25-year-old man was killed when the small plane he was piloting crashed into a Knik River gravel bar Saturday, according to Alaska State Troopers and federal investigators. In an online dispatch, troopers said they were alerted to the crash at 2:48 p.m. Saturday. A LifeMed helicopter responded to the scene in a remote area of the Knik River close to Friday Creek, southeast of Butte. 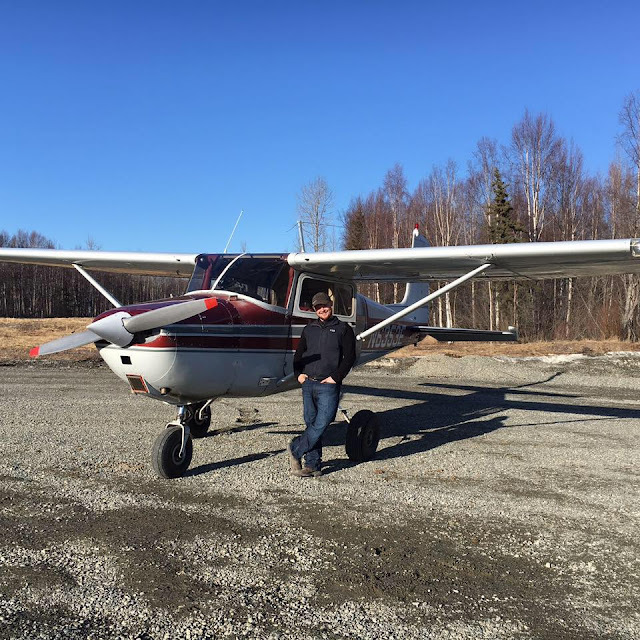 Ray Justen of Wasilla was the pilot and sole occupant of the Cessna 172 Skyhawk aircraft, troopers said. He died at the scene. 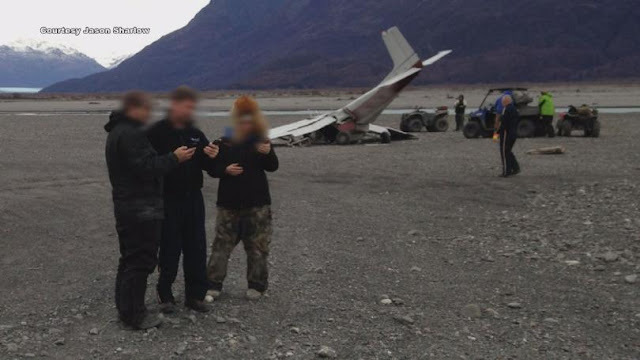 "Witnesses said this airplane came in, made a touch-and-go on a gravel bar and during a fairly steep climb out there was an aerodynamic stall," said Alaska National Transportation Safety Board chief Clint Johnson, who traveled to the scene via trooper helicopter Saturday. "The airplane descended nose-first and struck the gravel bar." Friends and family traveled to the scene on ATVs, Johnson said. Winds in the area were gusty at the time of the crash. Justen's body has been transferred to the state medical examiner. The NTSB continues to investigate the crash. BUTTE / KTUU One man is dead after a Cessna 172 Skyhawk crashed in the Knik River Valley. The first report of a downed plane near Friday Creek and Knik River came in just before 3 p.m. Saturday. The National Transportation Safety Board and the Alaska State Troopers arrived on scene about 30 minutes later, finding the sole occupant of the plane, 25-year old Ray Justen of Wasilla dead on arrival. Troopers say Justen's body was recovered and airlifted to the State Medical Examiners office. According to Jason Sharlow and Don Umbarger, they were flagged down by a woman while driving their 4-wheelers. The two men were taken to the plane and proceeded to pull out the pilot who they say, after checking his vitals, was dead. Sharlow and Umbarger told KTUU reporter Patrick Enslow that the pilots brother and friends were 4-wheeling and watching the plane fly around all day before it crashed, confirming only the pilot was on board at the time of the incident. NTSB officials began their investigation into the cause of the crash Saturday afternoon, they say weather permitting, the investigation will continue Sunday. On 10/29/2016 at approximately 1448 hours, the Alaska State Troopers were advised of an aircraft crash at Friday Creek and the Knik River within the Palmer area. AST was advised Ray Justen (25 yoa of Wasilla) had been the pilot and sole occupant. A LifeMed helicopter responded from Wolf Lake and arrived on scene at approximately 1517 hours. Justen was found to be deceased upon their arrival. An Alaska State Trooper along with an NTSB investigator responded to the scene by means of an AST helicopter. 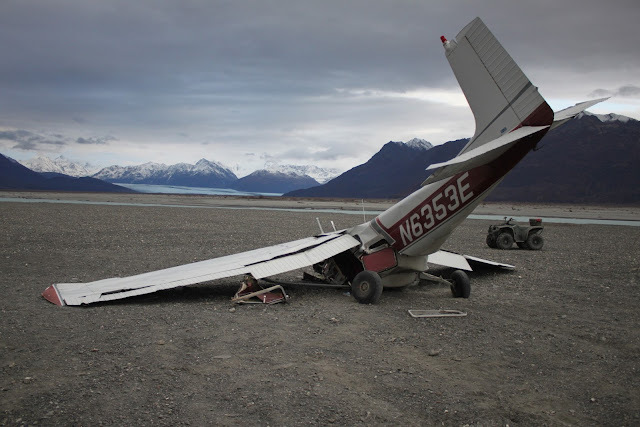 The Cessna 172 aircraft had significant damage. NTSB is investigating the incident. The body was recovered and turned over to the State Medical Examiner's office in Anchorage. Next of kin has been notified. The commercial pilot reported that he was practicing aerobatics in the experimental, amateur-built biplane over a river. During the maneuvers, as he input left aileron, the control stick was stiff, and he believed he observed abnormal movement of the upper left aileron. He then applied more force to free the control stick and input right aileron; however, the airplane rolled left and entered a spin. The pilot was unable to recover from the spin and subsequently parachuted from the airplane. The airplane came to rest at the bottom of the river. Examination of the recovered wreckage revealed that most of the left wings' parts, including the ailerons and aileron control tubes, were not recovered. As such, control continuity could not be verified or tested. A loss of biplane control during aerobatic maneuvers for reasons that could not be determined because a portion of the biplane's flight control system was not recovered and could not be tested. On October 29, 2016, about 1600 eastern daylight time, an experimental, amateur-built Pitts Special S-1, N27832, was substantially damaged when it impacted a river, following a loss of control during aerobatic flight near Coastal Regional Airport (EWN), New Bern, North Carolina. The commercial pilot incurred minor injuries. The airplane was registered to and operated by the commercial pilot as a personal flight conducted under the provisions of 14 Code of Federal Regulations Part 91. Visual meteorological conditions prevailed and no flight plan was filed for the local flight that departed EWN about 1545. The pilot reported that he was practicing aerobatics about 3 miles northeast of EWN, over the Neuse River. During the maneuvers, as he input left aileron, the control stick was stiff and he believed he observed abnormal movement of the upper left aileron. He then applied more force to free the control stick and input right aileron; however, the airplane continued to roll left and entered a spin. The pilot was unable to recover from the spin and subsequently parachuted from the airplane. Both the pilot and the airplane came to rest in the Neuse River. Examination of the wreckage by a Federal Aviation Administration (FAA) inspector and the pilot revealed substantial damage to the wings and fuselage. They also noted that a majority of the left wings, including the ailerons and aileron control tubes, were not recovered from the river. As such, control continuity could not be verified. The single-seat, bi-wing, fixed-tailwheel airplane, was assembled from a kit and issued an FAA experimental airworthiness certificate in 1994. Its most recent annual conditional inspection was completed on July 21, 2016. At that time, the airplane had accrued 170 total hours. On October 29, 2016, about 1600 eastern daylight time, an experimental, amateur-built Pitts Special S-1, N27832, was substantially damaged when it impacted a river, following a loss of control during aerobatic flight near Coastal Regional Airport (EWN), New Bern, North Carolina. The commercial pilot incurred minor injuries. The airplane was registered to and operated by commercial pilot as a personal flight conducted under the provisions of 14 Code of Federal Regulations Part 91. Visual meteorological conditions prevailed and no flight plan was filed for the local flight that departed EWN about 1545. Examination of the wreckage by a Federal Aviation Administration (FAA) inspector and the pilot revealed substantial damage to the wings and fuselage. They also noted that a majority of the left wings, including the ailerons and aileron control tubes, were not recovered from the river. The single-seat, bi-wing, fixed-tailwheel airplane, was assembled from a kit and issued an FAA experimental airworthiness certificate in 1994. It's most recent annual conditional inspection was completed on July 21, 2016. At that time, the airplane had accrued 170 total hours. A matter of seconds is why Marco Bouw is still alive. You may remember him. He got some attention last Saturday, Oct. 29, when his aerobatic biplane malfunctioned while flying over the Neuse River. Unable to regain control, Bouw had to jump clear as the biwing Pitts S-1S plummeted, following it by parachute into the river. Bouw, a 26-year-old Pamlico resident and professional pilot for Trans State Airlines out of Missouri, has been flying since he was 16. He is a British citizen, having moved from England to his current home at the age of 3. He said he is training in aerobatics. “My dream job is to be an airshow pilot,” he said. It was watching local airshow pilot Hubie Tolson flying that inspired him in that direction. Bouw has placed in the top three of every competition he’s entered over the past year and a half, he said. Bouw’s aerobatic wings of choice is a Pitts S-1S, a fabric-covered biplane first designed in 1946. “It has won more aerobatic competitions than any other plane,” he said, though in recent years it has been outperformed in power and roll rate by newer planes. But having a reliable airplane and proven flight skill isn’t always enough. It was a chute — required by law in the U.S. — that kept him alive last Saturday. That, timing, and a bit of luck. Stunt pilots keep their aircraft over non-populated areas — farmland, woodlands such as the Croatan Forest, over airports or over large bodies such as the Neuse, which is about a mile wide where his airplane came down, within sight of Union Point. They ride with a military-style parachute – meaning it is fairly small and not really capable of maneuvering by its wearer. It is strapped onto the body with the parachute being behind the buttocks so that the wearer actually sits on it in the airplane. He said that ditching one’s airplane and using the chute are only done in life-or-death situations. He grabbed the canopy of his airplane and pulled it back. Because of the angle and speed of the airplane – Bouw estimated he was going about 180 mph – he couldn’t easily climb onto his seat to jump out. “I had to grab a handle and hop up onto the seat like this,” he said, illustrating with the chair he sat on in the interview. He guesses he was about 800 feet up when he jumped. He hit the water about 8 seconds later, a mere second or two after his airplane which broke to pieces when it struck the water nearby. It wasn’t a gentle landing: landing with the parachute, he said, is like jumping from a second story window, and just clearing the airplane can be a trick. It doesn’t take much to be struck by the tail or wing when you bail out. He said he jumped just in the nick of time: “If I’d have jumped any later I wouldn’t have made it, because the chute wouldn’t have opened,” he said. If he had stayed with the plane he would have been killed: it shattered on striking the river, leaving some wooden shards the size of pencils. When he struck the water, he said he struggled to get out of the parachute as, had it landed on him, it could have filled and dragged him under. In the deep water – it was about 15 or 20 feet deep – he was disoriented but made it to the surface. “I started screaming for help,” he said. Soon a jet ski arrived, its driver pulling him on board and he was quickly transferred to a boat. He received medical treatment and went home. The boat was pulled from the river the next day and is now in Bouw’s hangar near Coastal Carolina Regional Airport. Bouw has no intention of giving up aerobatic flight as a result of his accident. In fact, he hopes to be in the air practicing again within a year. 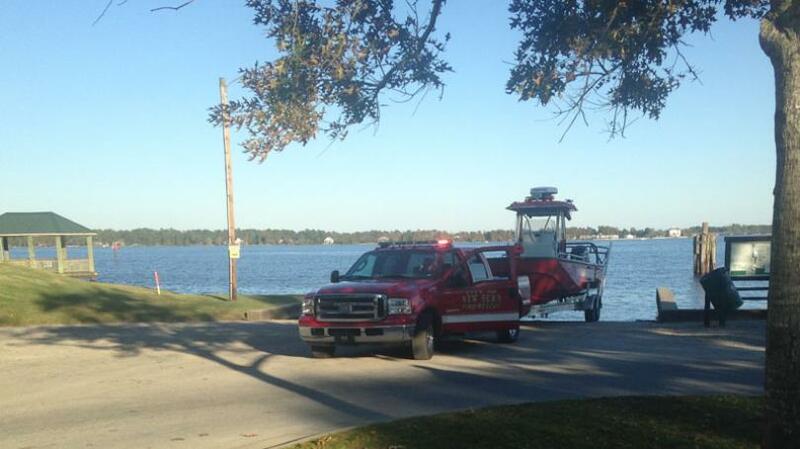 NEW BERN, Craven County - A plane crashed into the Neuse River Saturday afternoon. New Bern Fire and Rescue officials tell NewsChannel 12 the pilot ejected himself from the plane when something went wrong. Officials said Marco Bouw is the stunt pilot who crashed. Officials said something went wrong during one of his stunts and then the plane started spiraling toward the Neuse River. The pilot deployed his parachute and landed in the water. 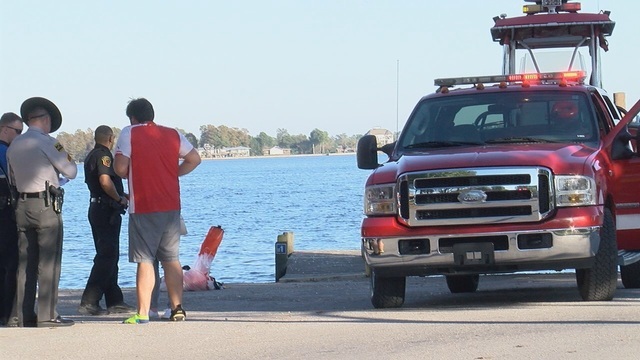 New Bern Fire Rescue and several volunteer fire department responded to Union Point Park, near where the crash happened, around 4:40 p.m. according to Chief Eric Mullis. New Bern Police were already on scene when the crash happened because of an event going on at Union Point Park. The Coast Guard was also notified about the crash. When emergency officials arrived on scene Bouw was already out of the water because witnesses in private boats stepped in and rescued him from the river. He was not taken to a hospital because Carolina East EMS checked him out on scene and he did not have any serious injuries. Witnesses said they saw smoke and the plane spiraling downwards toward the Neuse, but did not hear any loud sounds associated with the crash. The plane is still in the Neuse River, but emergency officials said there is no leakage from the plane and no danger to the public. It is now up to Craven County Emergency Management to figure out what to do with the plane. NEW BERN, N.C. (WITN) - A pilot who crashed late Saturday afternoon in the Neuse River was able to parachute out of the aircraft to safety, officials say. Little Swift Creek and Tri Community volunteer fire departments were at the scene making sure no other boats hit the plane, which is now under water in pieces. New Bern Fire Department was also at the scene. The crash happened near Union Point Park around 4 p.m.
Ira Whitford with Craven County Emergency Services says Marco Bouw was practicing stunts and parachuted out of the plane once he realized something was wrong. 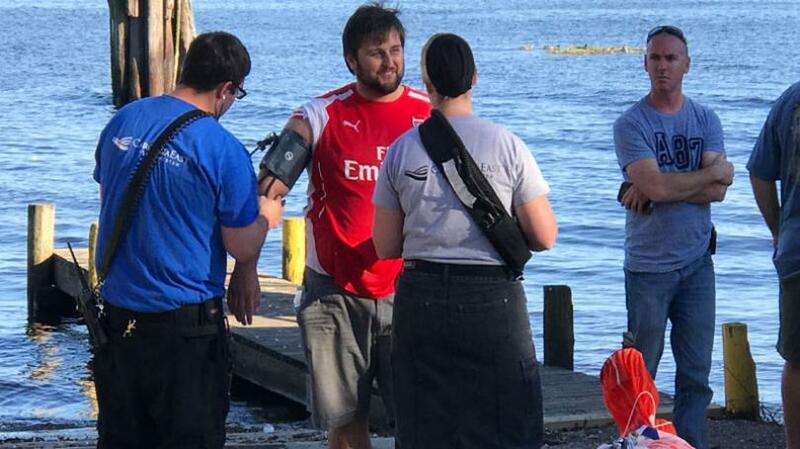 We're told someone who was already in the water brought him to safety. The pilot is said to be okay and was not transported to the hospital. The U.S. Coast Guard is investigating the crash. 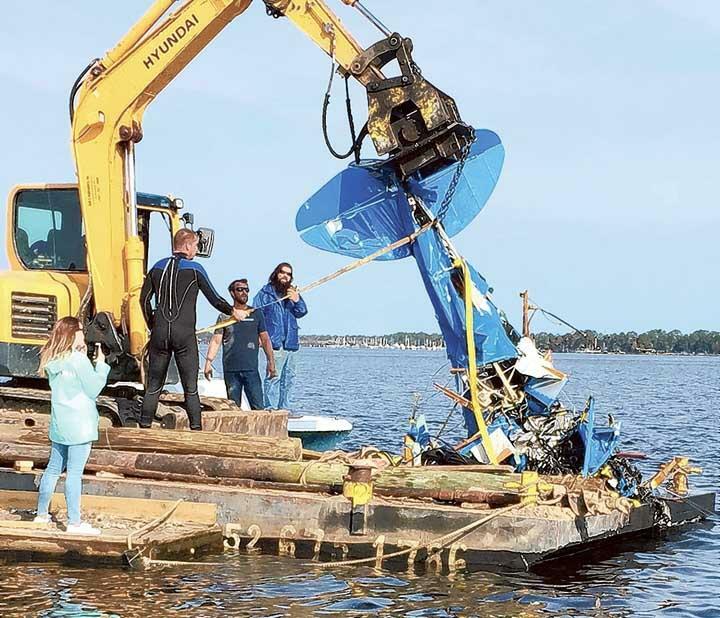 NEW BERN, N.C. (WNCT) – A small plane crashed into the Neuse River Saturday afternoon. New Bern Police say happened at 4:15pm near Union Point Park. Craven County Emergency Services Assistant Director Ira Whitford told WNCT the pilot was practicing stunts when something went wrong. The pilot, identified at Marco Bouw, ejected himself and parachuted out of the plane. No injuries were reported. New Bern Police said the pilot of the plane was the only one on board at the time of the crash. Investigators say the pilot was pulled to safety and did not appear to have been serious injured. New Bern Police, the Craven County Sheriff’s Office, North Carolina Highway Patrol, and the U.S. Coast Guard all responded to the crash. Investigators say the plane broke into several pieces and went underwater during the crash. 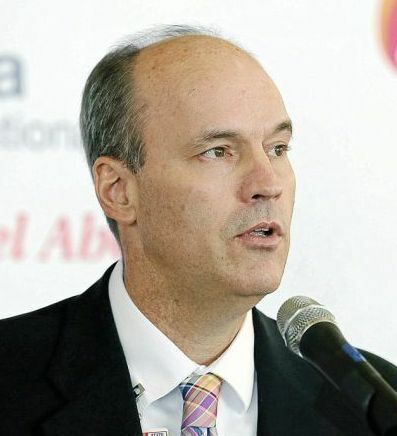 Jeff Mulder, the director overseeing Tulsa International Airport and R.L. Jones Jr. Airport, has resigned. Mulder submitted his resignation on Friday to the Tulsa Airports Improvement Trust Board effective Dec. 31, according to a Tulsa International Airport statement. The resignation is contingent on Mulder being offered the post of director of two airports in Fort Myers, Florida. The trust named Alexis Higgins, deputy airports director of marketing and community relations, as interim director beginning Jan. 1 and will initiate a search for a new director. Mulder’s successor will receive an annual salary of more than $150,000, and the trust will probably concentrate on a deputy director at an airport similar in size to Tulsa or larger, Mulder said. Mulder became Tulsa’s Airports Director in May 2005 and led numerous projects, including the opening of the airport’s centralized security checkpoint and the creation of a multijurisdictional TIF district, the first in the state of Oklahoma. He also recently completed a one-year term as chairman of the American Association of Airport Executives, composed of 5,100 members who represent 850 airports and 500 corporations. Other major airport projects under Mulder were reconstructing the two passenger concourses, reconstructing the mail runway with minimal airline traffic disruption, completing the 10-year, $84 million noise mitigation project, transitioning TIA and Jones-Riverside Airport from a city department to an independent agency and obtaining support from rental car operators to finance a $24 million third-level to the parking garage, which could be complete by the time he leaves. The Fort Myers airports have about 8 million passengers each year compared with about 1.3 million at Tulsa in recent years. Mulder is the eighth person to head Tulsa’s airports since 1928. He had been directer of the Outagamie County Regional Airport in Appleton, Wisconsin, before coming to Tulsa. A native of Michigan, he had previously served in various positions in New Orleans, Evansville, Indiana, and Milwaukee. Higgins has been with the airport for 16 years and is also active with the American Association of Airport Executives. On October 23, 2016, about 1030 coordinated universal time, a Robinson R44 helicopter, Russian registration RA-04347, was destroyed when it impacted terrain in the Baleisky district, in eastern Siberia, Russia, while en route from Zolotorechensk Airport to Jalal-Kadai Airport. The pilot and two passengers were fatally injured. The investigation is under the jurisdiction of the Interstate Aviation Committee of Russia. This report is for informational purposes and only contains information released by the Russian Government. 23.10.2016 в Балейском районе Забайкальского края произошло авиационное происшествие с вертолетом Robinson R44 RA-04347, принадлежащим ООО «Урюмкан». По имеющейся информации, находившиеся на борту пилот и два пассажира погибли, воздушное судно разрушено. On October 06, 2016, about 2050 Coordinated Universal Time, an amateur-built Steen Skybolt airplane, C-GWBD, impacted terrain near Blackfalds, Alberta, Canada, under unknown circumstances. The pilot sustained fatal injuries. The Transportation Safety Board (TSB) of Canada is investigating the accident. As the state of manufacture of the airplane, the National Transportation Safety Board (NTSB) has designated an U.S. accredited representative to assist the TSB in its investigation. 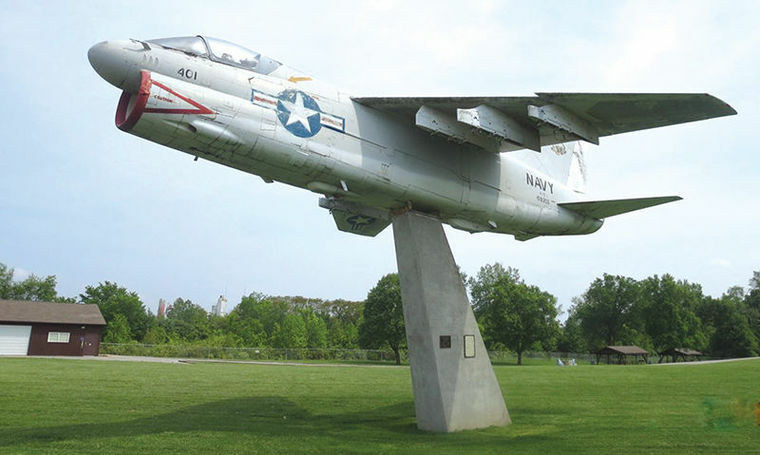 After years of stops and starts, the iconic Corsair plane that sits near the entrance to Edwardsville Township Park will finally be restored soon. Trustees approved a $30,000 contract with Flight Deck Veterans Group, a nation-wide non-profit based in Tennessee that specializes in restoring aircraft as part of its mission of “veterans serving veterans” and passing on the “history and legacy of veterans and flight deck operations,” according to a release from the township. First on the agenda is for the Township to figure out which period of service the plane will be restored to and then to work with the group on exactly how to make that happen. The plane has a storied past. Miles said they have learned from the group that the plane – officially a U.S. Navy A-7E Corsair – took her maiden cruise in 1975 off the deck of the USS Nimitz, where it was stationed until 1980. Two years later, the plane served on the USS JFK, and from 1984 to 1996 she served on the USS Saratoga. All those deployments were Mediterranean cruises, Miles said. “This agreement is the culmination of a multi-year project to restore our historic aircraft,” Miles said in the press release. In the spring of 2016, the township launched “Mission: Preservation, the Campaign to Restore the Plane.” It was a three-pronged approach to raising the necessary funds to restore the aircraft to “display and ready condition.” That definition comes from the U.S. Naval Aviation Museum, which loaned the plane to the Township. “The campaign has really rallied the community around the project and brought new volunteers and veterans to the project as well,” Miles said. The plane was helicoptered into Township Park about a quarter century ago from Scott Air Force Base. The engine had been removed at Scott, and after it arrived in Edwardsville the late Township Supervisor Robert Stille installed a female mannequin in the cockpit, propping her up with a stack of phone books. The most recent effort to attempt a fix-up came after some aviation experts – actually Edwardsville residents who worked for Scott Air Force Base’s TRANSCOM unit – looked the plane over, offered suggestions, and drew up specs to have the plane painted and refurbished. But they got transferred from the area. Then earlier this year the township began contacting local businesses in an effort to get corporate sponsors. They set up several “dine-out nights” with local restaurants, and they partnered with Global Brew to host a Fall Fest in Township Park to benefit the project. In all, businesses and individuals have contributed nearly $20,000 to the project. Edwardsville Township will kick in the remaining $10,000, Miles said. The group has restored historic aircraft around the country. Their projects have included an F-14 Tomcat on display on the historic USS Yorktown in Charleston, S.C., and the Fast Eagle 102, the first F-14 Tomcat to shoot down another aircraft in combat. The latter is on display at the Commemorative Air Force’s High Sky Wing in Midland, Texas. 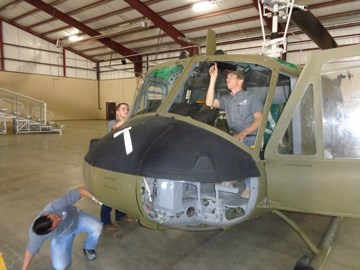 A group of students and faculty from Amarillo College, having tirelessly contributed to the restoration of a Vietnam War-era helicopter, will be front and center on Saturday when Randall County officials assemble to formally dedicate the Huey 68-16179. The dedication ceremony is at 11 a.m. Saturday, Oct. 29 at the Happy State Bank-Randall County Event Center, 1111 E. Loop 335 South. Terry Smith, coordinator of AC’s Aviation Maintenance Technology Program, and instructor Jim Faustina, were among the first to volunteer to help restore the aircraft. Three of their students swiftly followed suit. Eddie Casias, instructor in AC’s Automotive Collision Technology Program, got an even greater response from his students. Eighteen of them pitched in to help paint the armor-plated pilot and co-pilot seats that Smith and Faustina had completely refurbished. The students also painted the new window frames. Many local entities contributed to the heartfelt overhaul: Leading Edge Aviation, for example, stripped the original paint, and Bell Helicopter applied a fresh coat. The beautifully restored helicopter, acquired by the County almost a year ago from the “Boneyard” at Davis-Monthan Air Force Base in Tucson, Ariz., soon will be placed on permanent display at the Texas Panhandle War Memorial. Figuratively, it will have AC fingerprints all over it – for posterity. RIVERTON — The first thing you notice about Riverton Regional Airport is the free parking. Inside the terminal, taxidermy animals line the walls — a stuffed mountain goat is perched near the ceiling. Jackrabbits hop along the edge of the runway. A friendly police officer greets passengers. For a long time, all this small town airport lacked was flights. Mike Bailey used to show up at Riverton Regional Airport unsure whether his plane would be there. Bailey, who travels for his work as a petroleum marketer, gave up on using his local airport several years ago and began driving to Casper for connecting flights to Denver. “There’s nothing wrong with Casper airport except that it’s two hours away,” Bailey said. Bailey was one of many victims of canceled flights by Great Lakes Airlines, the Cheyenne-based air carrier plagued by staffing issues since the Federal Aviation Association raised the requirements for commercial pilots in 2013. Riverton mayor John “Lars” Baker said there were periods where the airline was canceling half its flights. “They’d have four flights scheduled, and some days one of them would make it,” Baker said. The unreliable nature of Great Lakes service led many Fremont County residents turn to Casper, or even make the long drive to Denver or Salt Lake City, to leave town. But things have been looking up since Denver Air Connection joined Great Lakes in July. Public Works director Kyle Butterfield said the new carrier has not canceled a single flight and is restoring confidence in local air service. Denver Air also offers flights to Denver from Sheridan and a handful of other cities in Colorado. Gone are the days of exponential declines in passengers flying out of Riverton. The trouble began with the new Federal Aviation Administration regulations in the summer of 2013. In response to a commuter airline crash in New York, the agency raised the number of training hours pilots for small commercial flights needed from 500 to 1500 — the same as major airlines. That made it difficult for regional airlines like Great Lakes to find pilots who would accept the lower pay and often grueling schedules that come with serving small markets. Butterfield said that prior to 2013 Riverton airport was averaging 13,000 boardings each year with highs of 18,000 passengers flying out of Fremont County. But after Great Lakes began canceling flights that number plummeted. “We were losing our flying markets in halves almost each year,” Butterfield said. Over 1,500 passengers were flying out of Riverton in July three years ago. But last July only 207 passengers boarded flights. When the airport dropped below 10,000 annual boardings it lost $850,000 in federal funding. 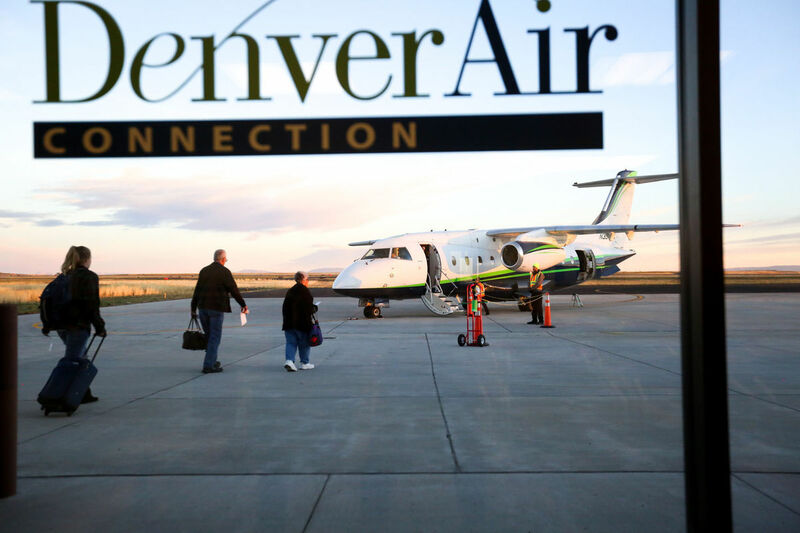 Local citizens organized a committee to solve the problem and ultimately made an agreement with Denver Air Connection to guarantee $200,000 in minimum annual revenue. That means if the company makes less than that amount the city is on the hook to cover the difference. Great Lakes does not receive a revenue guarantee. The public works director said he expects the city to pay a substantial subsidy for at least the next few years but Butterfield said Riverton is receiving assistance from the state, county and federal government along with the nearby town of Lander. Asked how Denver Air is able to provide consistent service while Great Lakes struggled, Baker, the mayor, offered a knowing look. He said that through all of Great Lakes scheduling problems Riverton still had two reliable air ambulance services that reported no problem finding pilots. Great Lakes and Denver Air Connection did not respond to requests for comment by press time. 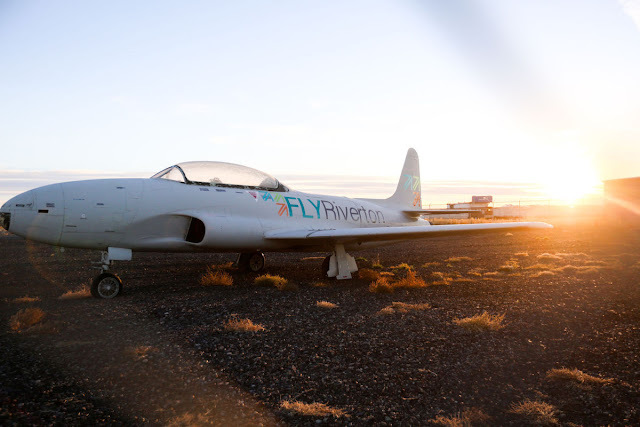 As the city fights to gain back local passengers it has launched a “Fly Riverton” campaign that includes a marketing push and even a fighter jet adorned with the campaign’s logo near the entrance of the airport. Butterfield said that the arrival of Denver Air has led to increase in passengers flying out of Riverton each month so far. In September, 507 people flew out or Riverton airport, up from 295 in July. He added that data on future bookings also show an upward trajectory. The increased bookings have even helped Great Lakes, which increased its service to three daily flights in July after initially announcing plans to cut back to a single afternoon flight. While airport data shows that Denver Air is attracting more business on a monthly basis, Great Lakes had also raised its passenger total over the course of the summer. 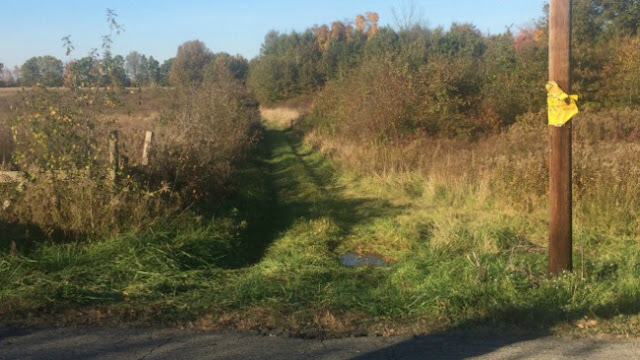 SHENANGO TWP., Mercer Co., Pa. - There's new information on a small plane crash in Mercer County that occurred Friday afternoon. The West Middlesex Airport Manager tells 21 News that the pilot was becoming reacquainted with flying after taking about an eight year break and that Friday was the most time he spent in the air since then. The small, ultralight plane came down about 2:30 p.m. First Responders say the pilot was coming in for a landing in Shenango Township when the wind caught him. He ran into a tree and was found about a half mile from the West Middlesex runway in a patch of briar bushes. The pilot was taken to the hospital with non-life threatening injuries, according to Shenango Township's Assistant Fire Chief. The airport manager identifies the pilot as Gary Fobes. "He decided that he would go around and make a normal landing which he did two times, he made beautiful landings," said West Middlesex Airport Manager Al Walker. The airport manager says Fobes' third landing of the day did not go as smoothly. He says this isn't Fobes first plane crash. More than 10 years ago, he crashed into some electric wiring while coming in for a landing. 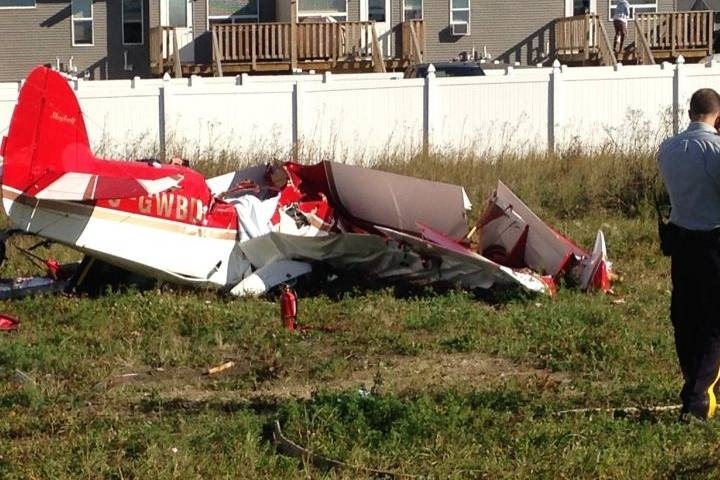 WEST MIDDLESEX, Pa. (WKBN) – A single-engine plane went down near the West Middlesex Airport on Friday afternoon. Investigators at the scene said the pilot was in the process of landing at the airport when he crashed into a wooded area nearby around 2:30 p.m. It took crews two hours to get to the man following the accident. “We couldn’t get him out through the airport, so we had to come back in off of Fetsko Road and got in there with quads, got him on the quad and brought him out,” said. The pilot had injuries but was alert and able to communicate when he was rushed to St. Elizabeth Health Center, investigators said. His name has not yet been released. Police are not yet revealing any more details of what happened before the crash, though they have talked with the pilot. 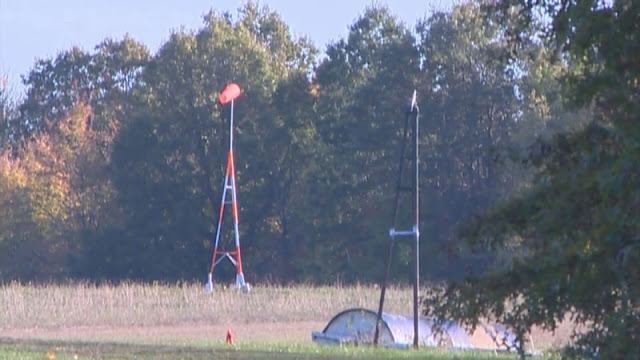 SHENANGO TWP., Mercer Co., Pa. - A small ultralight plane crashed near the West Middlesex airport Friday afternoon. The one person on board was taken to the hospital. A first responder told 21 News that the pilot was an older gentleman and he had an issue with the wind. The plane went down deep in the woods in brier patches about a half mile off of Fetsco Road. The pilot was taken to the hospital but his condition was unknown. Shenango Fire Department crews and an ambulance were on scene. The NTSB's full report is available at http://www.ntsb.gov/investigations/AccidentReports/Pages/AccidentReports.aspx. The Aircraft Accident Report number is NTSB/AAR-18/01. On October 28, 2016, about 1432 central daylight time, American Airlines flight 383, a Boeing 767-323, N345AN, had started its takeoff ground roll at Chicago O'Hare International Airport, Chicago, Illinois, when an uncontained engine failure in the right engine and subsequent fire occurred. The flight crew aborted the takeoff and stopped the airplane on the runway, and the flight attendants initiated an emergency evacuation. Of the 2 flight crewmembers, 7 flight attendants, and 161 passengers on board, 1 passenger received a serious injury and 1 flight attendant and 19 passengers received minor injuries during the evacuation. The airplane was substantially damaged from the fire. The airplane was operating under the provisions of 14 Code of Federal Regulations Part 121. Visual meteorological conditions prevailed at the time of the accident. The failure of the high-pressure turbine (HPT) stage 2 disk, which severed the main engine fuel feed line and breached the right main wing fuel tank, releasing fuel that resulted in a fire on the right side of the airplane during the takeoff roll. The HPT stage 2 disk failed because of low-cycle fatigue cracks that initiated from an internal subsurface manufacturing anomaly that was most likely not detectable during production inspections and subsequent in service inspections using the procedures in place. Contributing to the serious passenger injury was (1) the delay in shutting down the left engine and (2) a flight attendant's deviation from company procedures, which resulted in passengers evacuating from the left overwing exit while the left engine was still operating. Contributing to the delay in shutting down the left engine was (1) the lack of a separate checklist procedure for Boeing 767 airplanes that specifically addressed engine fires on the ground and (2) the lack of communication between the flight and cabin crews after the airplane came to a stop. Registered Owner: American Airlines Group, Inc.
U.S. air-accident investigators have called for upgraded engine-inspection practices and better-coordinated procedures for passenger evacuations, in their final report about a fire that badly damaged an American Airlines Group Inc. jet on a Chicago runway two years ago. The findings and recommendations released by the National Transportation Safety Board on Tuesday stem from an October 2016 accident in which a rare manufacturing defect caused part of the right engine on a Boeing Co. 767 bound for Miami to rupture violently late in the takeoff roll. Metal parts flew as far as 3,000 feet, a fuel leak caused a massive fire under the right wing and all 161 passengers used emergency slides to leave the jet. There were no fatalities, but the National Transportation Safety Board issued industrywide recommendations for modernized engine inspections and stepped-up airline crew training to ensure safer emergency evacuations. According to the National Transportation Safety Board, United States regulators haven’t updated guidance on conducting emergency evacuations for three decades, despite several high-profile examples of problems getting passengers off airliners in just the past few years. Investigators concluded that a rare manufacturing flaw dating back to the late 1990s—and likely undetectable through recent years—created microscopic cracks in the high-energy internal disc that eventually led to the accident at O’Hare International Airport. General Electric Co. manufactured the engines. Regarding the crew’s response, the National Transportation Safety Board concluded that the pilots, after hearing a loud bang, acted appropriately to halt the takeoff and shut down the damaged engine. But the report was critical of the level of cooperation between the cockpit crew and flight attendants. Investigators, among other things, found that flight attendants hadn’t received adequate training on systems to communicate with the cockpit or passengers. Two attendants told the safety board they couldn’t operate the intercoms to contact the pilots, as smoke billowed inside the cabin and passengers disregarded instructions by climbing over seats and insisting on grabbing carry-on bags. With one of the wide-body jet’s engines still running as the evacuation began, a passenger suffered a serious injury as he was hit by jet blast. The pilots told investigators the only emergency engine shut-off checklist they had didn’t call for immediately turning off the remaining engine. Modern jet turbines are designed to prevent broken parts from being spewed outside the engine cover. But violent disintegration of some internal parts has dogged certain models of GE’s CF6-80 model engines since 2000, prompting a series of stepped-up safety actions by the manufacturer and the Federal Aviation Administration. An Federal Aviation Administration spokeswoman didn’t have any immediate comment on the nonbinding safety recommendations. American, which has revamped flight attendant training, told investigators the cabin crew took appropriate steps to initiate the evacuation despite communication difficulties. Original article can be found here ➤ https://www.wsj.com The National Transportation Safety Board traveled to the scene of this accident. On October 28, 2016, at about 2:32 CDT, American Airlines flight number 383, a Boeing B767-300, N345AN, powered by two General Electric CF6-80C2B6 turbofan engines, experienced a right engine uncontained failure and subsequent fire during the takeoff ground roll on runway 28R at the Chicago O'Hare International Airport (ORD), Chicago, Illinois. The flightcrew aborted the takeoff and stopped the aircraft on runway 28R and an emergency evacuation was conducted. Of the 161 passengers and 9 crew members onboard, one passenger received serious injuries during the evacuation and the airplane was substantially damaged as a result of the fire. The flight was operating under the provisions of 14 Code of Federal Regulations Part 121 as a domestic scheduled passenger flight to Miami International Airport (MIA), Miami, Florida. 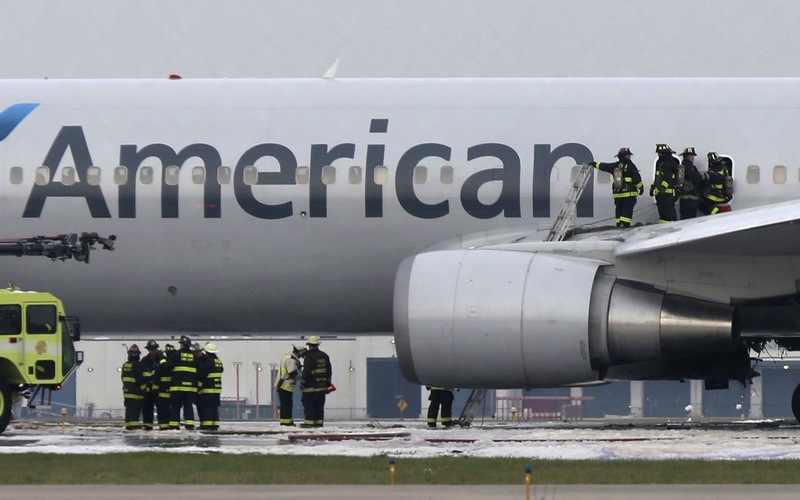 Late last month, passengers on a Chicago to Miami flight were sent hurtling down evacuation slides from an American Airlines Boeing 767 after the plane’s engine caught fire, engulfing the runway in billowing black smoke. Now, 18 passengers — including three from South Florida — are suing the airline, Boeing and GE, the engine’s manufacturer, for the injuries caused by the allegedly “defective and unreasonably dangerous” aircraft, the suit says. The lawsuit was filed in Illinois circuit court, where the incident took place. On the afternoon of Oct. 28, 170 crew and passengers on Flight 383 from Chicago’s O’Hare International Airport to Miami International Airport were forced to evacuate when the engine on the right side of the plane burst into flames on the tarmac. 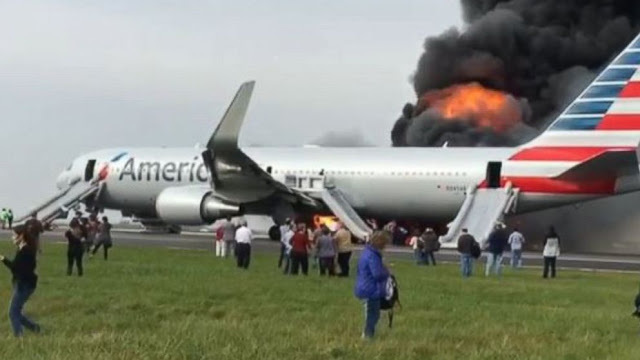 Footage from the scene shows passengers quickly evacuating on slides on the front and rear left side of the plane and running into a grassy area while smoke and fire rise in the background. The plane’s right wing can be seen melting and drooping. About 20 people suffered minor injuries, officials said. According to the lawsuit, the plaintiffs suffered “personal and bodily injuries, both physical and psychological in nature” and either have or will sustain “future medical bills, lost earnings, disability, disfigurement, and pain and suffering and emotional distress,” as a result of the accident. The suit claims GE sold the defective engine to Boeing, which was negligent in “designing, manufacturing, assembling, and selling the accident aircraft as as not to cause injury to plaintiffs.” It also alleges that American Airlines failed to maintain, service, inspect and repair the aircraft appropriately enough to avoid the accident. American Airlines declined to comment, citing pending litigation. The plaintiffs are represented by Chicago-based Wisner Law Firm, which focuses solely on representing people injured or killed in aviation accidents. The firm recently resolved a similar case for an undisclosed amount involving more than 100 passengers and crew on a September 2015 British Airways. Like the Chicago to Miami flight, the British Airways flight involved a faulty GE engine on a Boeing plane that failed and caught fire at Las Vegas’ McCarran International Airport. The law firm expects to add other passengers as plaintiffs, as well as other parties, such as material suppliers or component manufactures, as defendants if certain parts of the engine are found as contributing to the fire. CHICAGO (WLS) -- Officials said 20 people sustained minor injuries when a plane caught fire at O'Hare International Airport Friday afternoon. District Chief of EMS for O'Hare Juan Hernandez said 20 people had been transported to local hospitals with minor injuries including bruising, scrapes and ankle injuries sustained in the evacuation of the plane. American Airlines flight 383 bound for Miami was forced to abort takeoff at about 2:35 p.m. The pilot heard a thump and thought a tire had blown. The air traffic control tower alerted the pilot to flames. A large fire quickly consumed the plane's right-side engine and wing. Flight crew immediately stopped the plane and evacuated it using the inflatable slides on the left hand side of the aircraft. Federal officials said the cause of the fire was "uncontained" engine failure, meaning pieces were blown out of the engine. All 170 passengers, including flight crew, and a dog were evacuated, Chicago Deputy Fire Commissioner Timothy Sampey said. Sampey said the fire was mostly extinguished quickly, but crews are still working to put out hot spots on the plane. The plane was carrying 43,000 lbs. of fuel at the time. "This could have been absolutely devastating if it happened later, if it happened farther. There's about a thousand variables but again, they brought the aircraft to a halt, the air tower did a great job communicating to the pilot what fire they saw and they got everybody off the plane immediately," Sampey said. Patients were taken to hospitals including Lutheran General Hospital and Presence Resurrection. "American 383 heavy stopping on the runway." "Do you see any smoke or fire?" In a statement, the airline said, "American Airlines is fully cooperating with the National Transportation Safety Board in its investigation of flight 383. We are operating a special flight tonight to take our customers to Miami. Twenty passengers and one flight attendant reported non-critical injuries. Several were transported to Chicago-area hospitals to be evaluated. Members of American's specially trained employee volunteer CARE Team have been mobilized and dispatched to those hospitals, and Chicago O'Hare International Airport to provide assistance for our customers, crew members and their families." The National Transportation Safety Board have taken over the investigation. The plane will remain on the runway until the NTSB is finished with their on-site investigation. Sampey said in his estimation it's been about eight years since an incident equivalent to this occurred at O'Hare. One runway remains closed at O'Hare. Operations at the airport are normal. Investigators from the National Transportation Safety Board are on their way to O'Hare Airport s of 4 p.m.
ABC7 Doppler 7 MAX picked up the smoke plume from the plane fire on radar.